Whether they are a professional chef or budding baker our personalised apron is a great gift for any cooking enthusiasts! 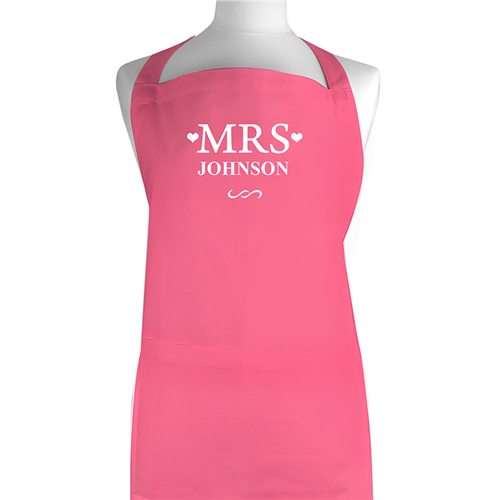 Personalise this Mrs Apron with a surname up to 12 characters. 'Mrs' is fixed Cool wash only and iron on the reverse. Material is 65/35% Polycotton. All personalisation will be produced capitalised as pictured.